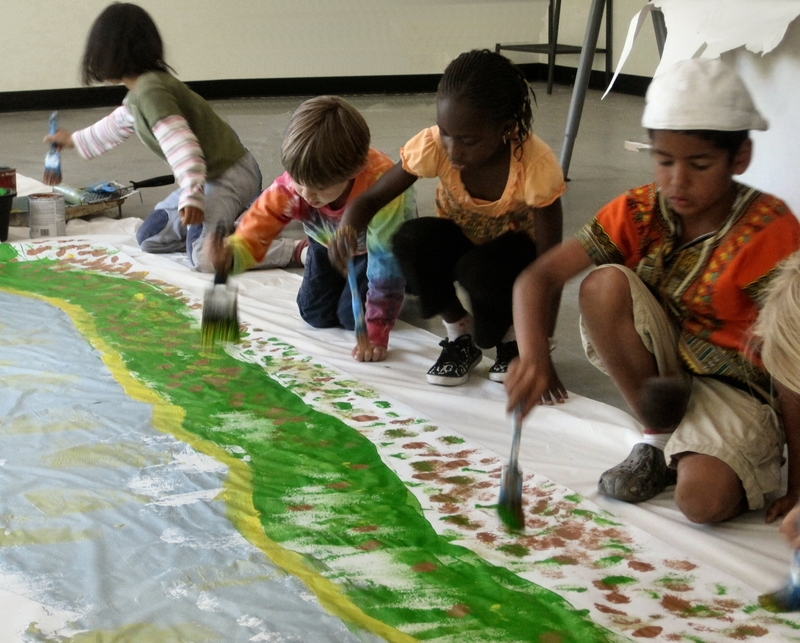 Connecting students and artists.Camp Tannery Arts is located at the Tannery Arts Center on the banks of the San Lorenzo River in Santa Cruz, California. Small classes of students work together with experienced artists, to explore a wide variety of hands-on art disciplines that make this spot the creative hub for the Santa Cruz area. Students take away a deeper understanding of the many kinds of art in the world and get to know artists that share with students their inspirations and skills that give voice to thoughts and enrich our lives. Linda Cover has worked with students throughout Santa Cruz county as a SPECTRA artists for over 10 years. In that time she has directed several Art and Nature based camps for summer students. When the Tannery Lofts opened it’s doors in 2009, with wild and wondrous artists of every persuasion, Camp Tannery Arts was born. Artists open their studios and homes to young artists, who see how artists live and work, learn what inspires them and learn along side them to create their own works of art.